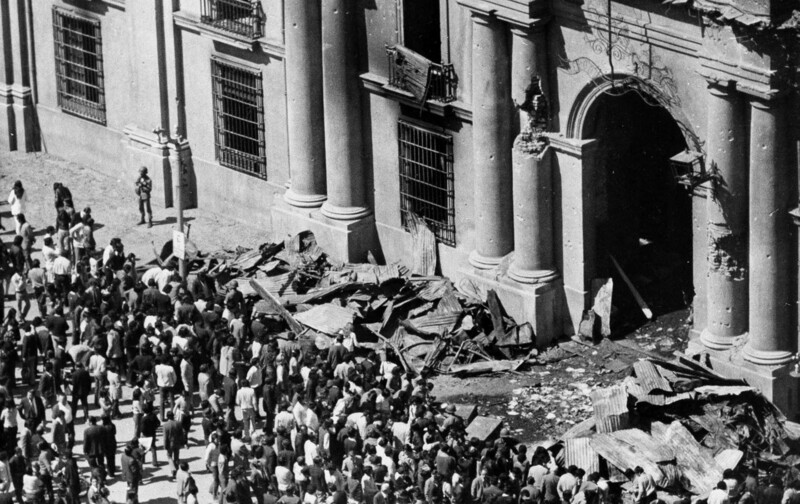 This September 11 will be the 42nd anniversary of the US-backed coup against the democratically elected Chilean government led by the Socialist Salvador Allende, kicking off a battle that is still being fought: In Chile, protests led by students, indigenous peoples, and workers to roll back the “neoliberalization,” or Pinochetization, of society, are a continuing part of everyday life. Neoliberalism is hard to define. It could refer to intensified resource extraction, financialization, austerity, or something more ephemeral, a way of life, in which collective ideals of citizenship give way to marketized individualism and consumerism. Like rust, neoliberalism never sleeps. The global rentier class that enriches itself off the neoliberal property-rights regime had, a decade ago, hoped to lock down Latin America under the hemisphere-wide Free Trade Agreement of the Americas (FTAA). In its original version, the FTAA was meant to be a special carve-out for Washington and Wall Street, as global “free trade” advanced under the umbrella of the Doha round of the WTO. Kind of an economic Monroe Doctrine, whereby the United States could maintain its regional hegemony over Latin America while still promoting, when it suited, globalization. But that scheme fell apart with the return of Latin America’s post–“Washington consensus” left, led at the time by Brazil, Venezuela, and Argentina. And the Doha round stalled. So Washington came back with the Trans-Pacific Partnership, a 12-country treaty—including Chile, Peru, and Mexico—vigorously promoted by the Obama administration. It’s been described nicely by Lori Wallach as NAFTA on steroids. As others have pointed out, the TPP isn’t really about trade. Rather, it’s a supra-national regulatory straitjacket that institutionalizes Allende’s 1972 warning. Among other things, the TPP has the effect of hiving off Brazil and Argentina from Latin America’s Pacific Rim countries. South America’s governing left is weakened and defensive, and the vitality with which Lula, Chávez, and Kirchner pushed back on any number of US initiatives—war on Iraq, trade, intellectual property, and so on—is dissipated. In Brazil, Dilma has recently capitulated on a number of issues she had long resisted, including surveillance and the adoption of Patriot Act–like “anti-terror” legislation (not to mention her recent visit to NYC to genuflect before Henry Kissinger). The divide-and-rule TPP would, by creating a divergent set of economic interests among neighboring countries, further limit the possibility of political solidarity against economic and security policies pushed by Washington (as this pro-TPP op-ed implies). The principle behind the ISDS—that corporations have an inherent right to demand compensation for any regulation that might impinge on their “expected future profits”—is a perfect negation of a major principle of Allende’s socialist program: that poor nations not only had a right to nationalize foreign property but could also deduct past “excess profit” from compensation for that property, calculated as anything above 12 percent of a company’s value. This September 11, as the Obama administration makes its final push for the TPP, it’s worth taking a moment to realize why all those people in Chile—and in Uruguay, Brazil, Argentina, Guatemala, El Salvador, and throughout Latin America—died and were tortured: to protect the “future profits” of multinational corporations.